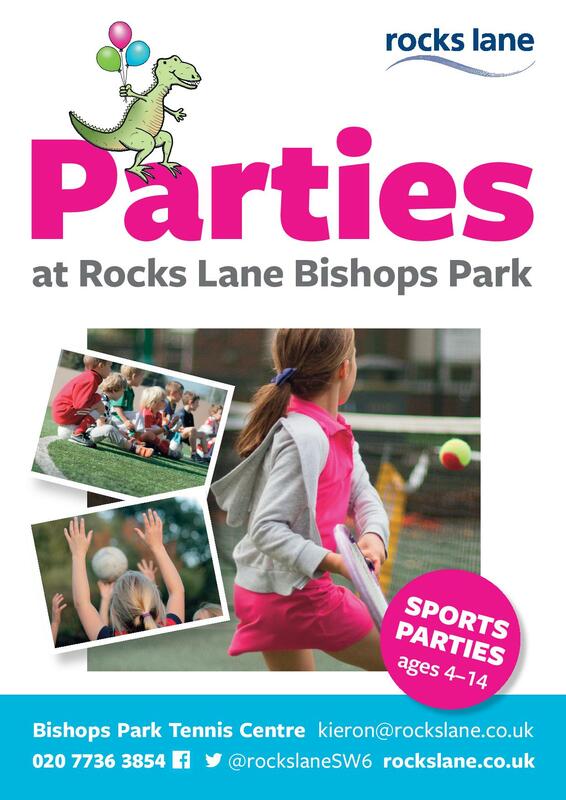 Have a sports birthday party at one of our Rocks Lane Centres! We host sporting birthday parties at all 3 of our venues from age 4 - 14 years. Children will be entertained and kept active by one of our experienced coaches before enjoying healthy party food in the club house. We host sporting birthday parties at our centre involving tennis or netball with a variety of fun and games… races, egg & spoon and other activities suitable for the children’s age. At Bishops Park we have a pavilion for the birthday tea.